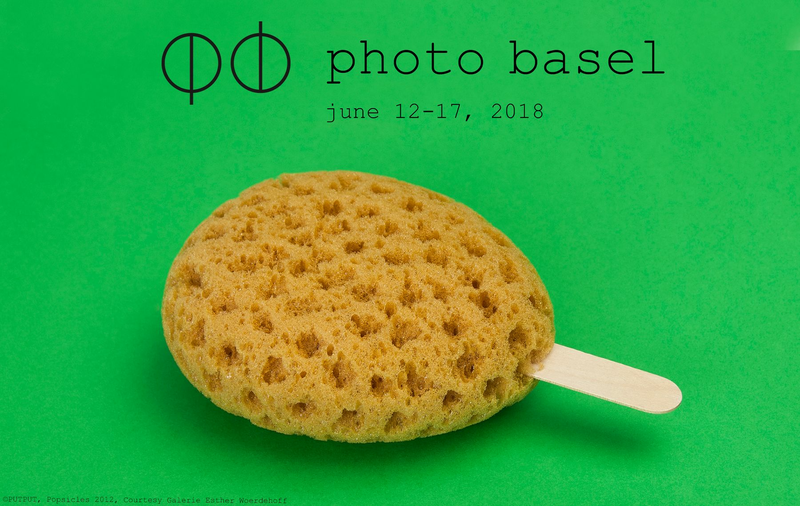 photo basel, Switzerland’s first and only art fair dedicated to the display and promotion of photography, returns to the Volkshaus Basel for its fourth edition. Curated by Daniel Blochwitz, an expert in photography, the fair runs from 12 - 17 June 2018 coinciding with the modern and contemporary art fair, Art Basel. The fair brings together 35 exhibitors from both emerging and established galleries across 13 countries including France, Italy, Belgium, Colombia and Japan. Newcomers to the fair include Ibasho Gallery (Belgium), Only Photography (Germany), Carlos Carvalho Arte Contemporânea (Portugal), °Clair (Germany) and Aperture (USA). Returning to Basel this year are Fabian & Claude Walter Galerie (Switzerland), Galerie Esther Woerdehoff (France), Flatland Gallery (The Netherlands), Bildhalle (Switzerland), Galerija Fotografija (Slovenia) and Galerie Springer (Germany). Besides the main section, photo basel is pleased to announce a new sector entitled Master Cabinet: Pivotal Moments devoted to selected classic masterpieces of the 20th century. Participating galleries present a programme of significant photography in a collaboration with curator Daniel Blochwitz and photo basel's director Sven Eisenhut. My motivations to join photo basel as curator were the undeniable potential of such a fair, the further impact this could have on photography as a collectable art and the way it can help to highlight significant artists each year. I think that my understanding of the medium and my experience in the field can help to further establish photo basel amongst the important art fairs dedicated to photography. From its inaugural edition in 2015, photo basel has cemented its profile as the most prominent photography fair in the German-speaking region. The fair seeks to provide a platform for the fostering of dialogue between members of the photographic and broader art world communities by attracting international media, visual art experts and collectors at a key moment and location in the annual art world calendar. Daniel Blochwitz is the curator of the 2018 edition of the fair. Blochwitz is a highly regarded expert in photography, with 20 years of experience as academic, curator, advisor and author, working both in the U.S. and Europe. He moved to Switzerland in 2011 to assume the position of Director at Edwynn Houk Gallery in Zürich and recently initiated and curated exhibitions of Vivian Maier, Hans Feurer, Arnold Odermatt and René Groebli. In 2018, photo basel’s curatorial circle have worked in collaboration with Daniel Blochwitz to select and oversee the content of the fair, including the participating exhibitors, special projects and exhibitions. photo basel will continue their partnership with Jaguar and Land Rover to provide VIPs with transport for the duration of the fair. This service must be booked in advance and RSVP is essential.